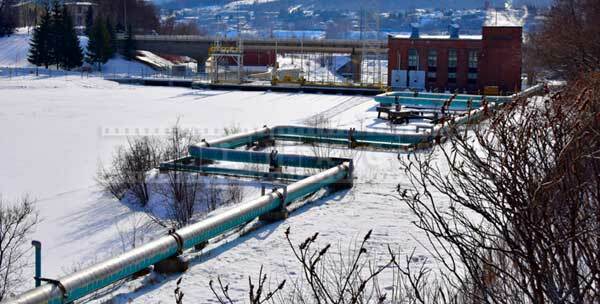 Urban industrial landscapes define Edmundston, New Brunswick. 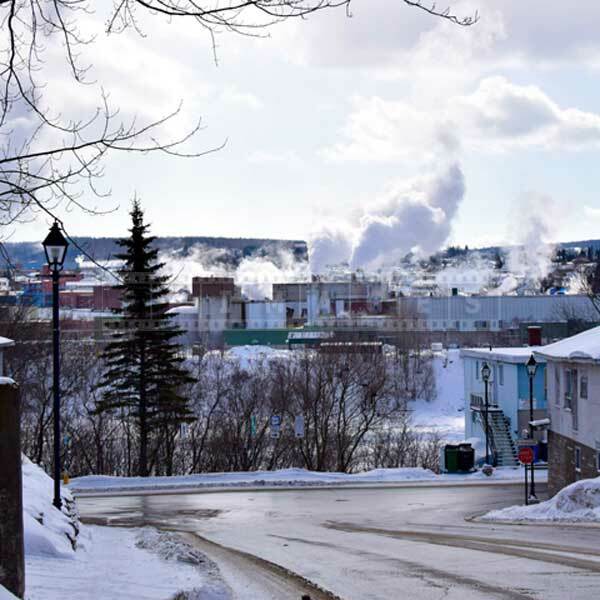 Economy in this small industrial town depends on paper industry and forestry. Located in northern New Brunswick, Canada Edmundston is just across the Saint John river from Madawaska, Maine. 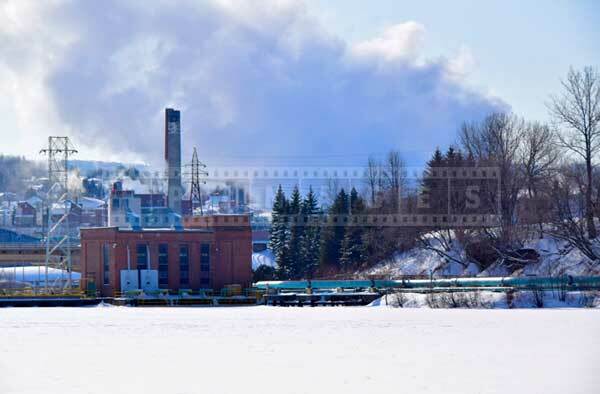 Both communities depend on each other as Emdnudston pulp mill produces the raw material – pulp for Madawaska paper mill. 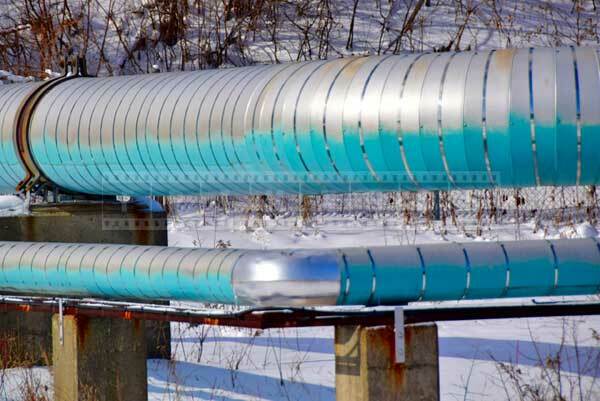 This product is delivered to the US side via a pipeline where it is further processed into high quality paper. 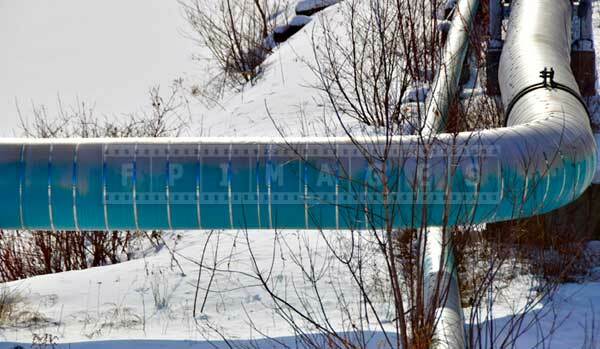 Urban industrial landscapes in Edmundston are not a tourist attraction of course. But these industrial landscapes do remind us about the importance of real economy producing real physical goods and creating jobs. Edmundston is off the beaten path, but if you like history this town has several important historical sites. 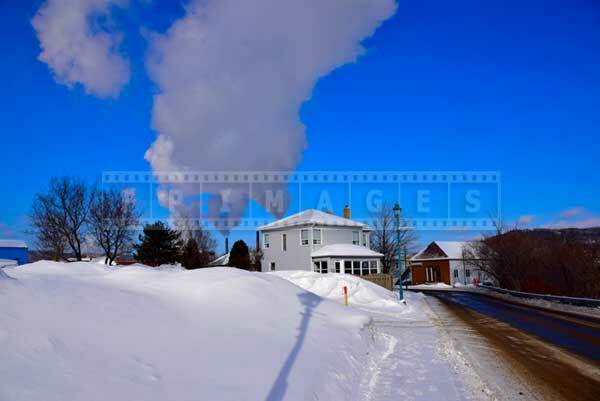 There is a nice scenic walk around the Madawaska river, unusual fort – Petit Sault blockhouse, cathedral and museums . 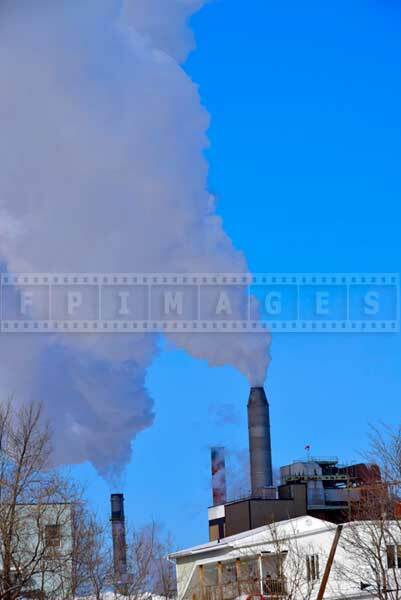 Wherever you go though you can always see large smoke stacks. 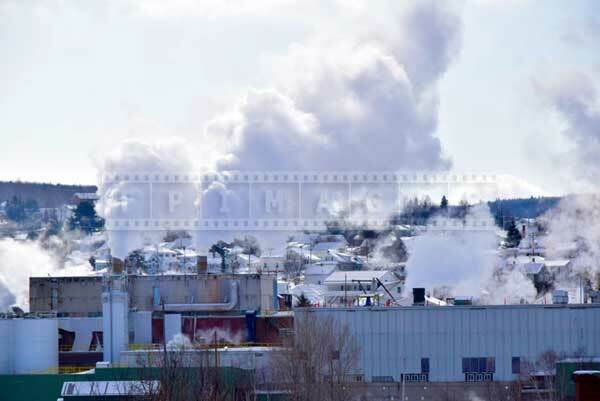 These smoke stacks produce mostly steam but you will also notice the smell specific to paper production. 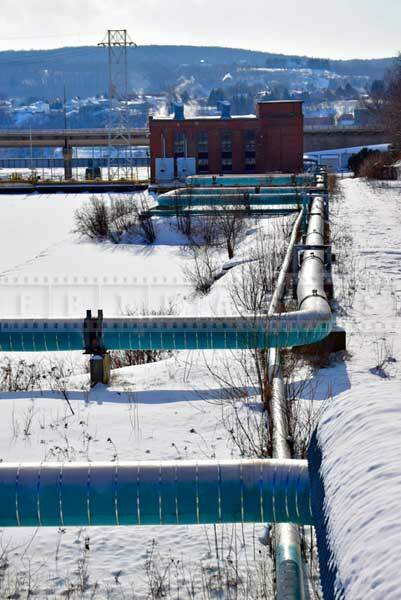 Urban industrial landscapes are fun to photograph in winter season. 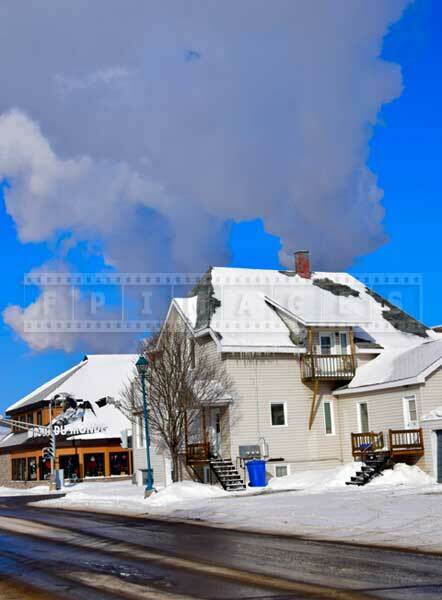 Steam emitted by smoke stacks rises very high in cold winter skies and creates surreal feeling of the volcano. 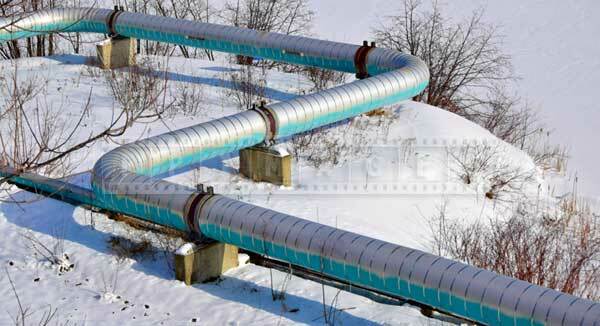 Winter season and industrial details create great abstract images. 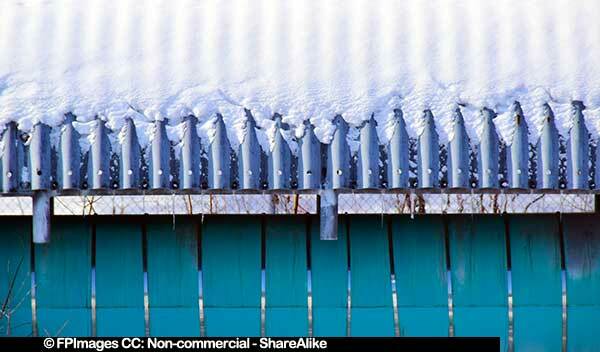 Look for repetitive patterns, strong lines, contrasting colors and unusual shapes. 1. Walk around the streets, try to find best photo composition. 3. Use wide angle lens and move in closer. 4. Look for patterns and rhythms, strong lines, diagonals and central axis.